Ms. Elizabeth Wynn is a skilled professional in real estate investment management, business acquisition, management consulting, and cross-border business development. With over 10 years of experience in sales, mortgage finance and luxury real estate, Ms. Wynn has always been exposed to the lifestyle and workings of international prosperous investors, developers, lenders, lawyers, CPAs and financial advisors. Ms. Wynn is one of the top 50 Business Women in Asia Pacific and Women Leader Forum. Her job responsibilities include managing the Asia Pacific Region as to bring in more trade agreement partners, developers and investors to invest to the US based real estate and EB5 immigration projects. Creating value for her clients is her core business philosophy. With her knowledge of market trends locally, nationally and internationally, Ms. Wynn’s first-hand experience enables her to provide the highest standard for meeting every challenge in the real estate market and delivering impressive results. Her enthusiasm, professionalism, perseverance and passion for what she does set her apart. Her business and personal ethics are intertwined. As a global luxury real estate advisor, Ms Wynn offers a high-touch concierge-type service to each client. Every transaction receives highly personalized and individualized attention. There is no transaction that cannot be completed to the best possible outcome. The difference is in the details. 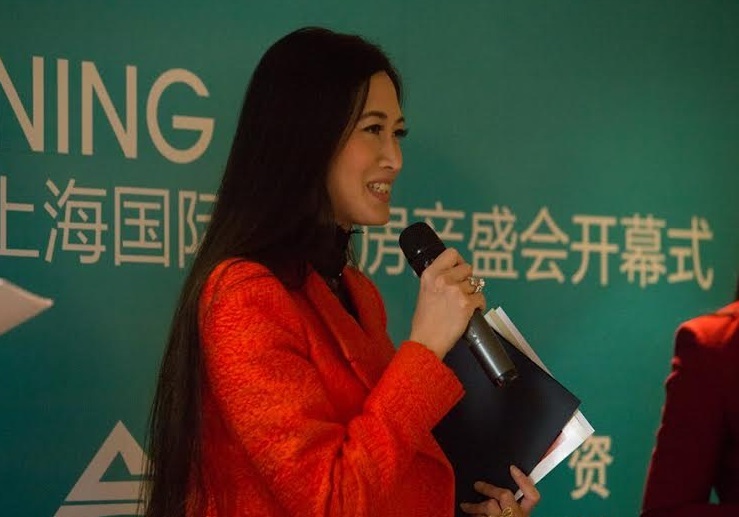 She acts as the Global Alliances & Liason for Asia Pacific and the U.S. in Real Estate investments and serves on the Global Committee of Beverly Hills Greater Los Angeles Association of Realtors. Prior to launching her career in real estate, Elizabeth was a driving force in entertainment television production and the fashion industry for domestic and international audiences as president and CEO of Hollywood Entertainment and Media Production and ETT Hollywood Model Management. She was responsible for creating a powerful bridge between Asia, Europe, and the United States with a strong focus on international fashion and cultural exchange. Her global travels as a child left her with a deep appreciation and understanding of the world's cultural diversity as well as its commonality. Sotheby’s International Realty brand is a global leader in luxury real estate throughout the world. My team http://www.elizabethwynn.com/ is specialized in luxury properties in Los Angeles, California for Chinese clientele and Southeast Asia international investors. We provide clients with the finest personal service, discretion, and commitment. Sotheby’s International Realty has a history of record breaking sales with billions of dollars of sales each year. As a global luxury real estate advisor, I offer a high-touch concierge-type service to each client. Every transaction receives highly personalized and individualized attention. There is no transaction that cannot be completed to the best possible outcome. The difference is in the details. Sotheby’s purpose is to artfully unite extraordinary properties with extraordinary lives- servicing the needs of the most prestigious clientele in the world. And most important of all, love what you do and do what you love. Too many to meaningfully narrow down. Courage- If you're going to be thinking anything, you might as well think BIG. If you’re not living on the edge, you’re taking up too much space. I have always lived my life in this way. And never stop growing and developing!!! I love to travel around the world. I learned lot of other cultures, new experiences and ideas, visiting new and beautiful places, amazing diversity of incredible things to do and unique travel experiences around the globe. However, my favorite place is always my home in Beverly Hills, California. My Home is my favourite leisure destination. It is a place that I would love to come home day after day. I like to spend quality time with my family, which in turn leaves me motivated to be productive the next day. It is a sweet spot where I can get everything done, maintain healthy relationships, a healthy mind and body. It’s about being so totally alive in the moment that work, relationships, spirituality, mission, responsibility, and opportunity blend seamlessly into one thing: LIFE. I am passionate about children and animals. As a CEO & founder of the non-profit foundation http://togetheras1foundation.com. I have traveled around the world on behalf of my non-profit foundation as a spokeswomen for several charitable alliances that deliver immediate and lasting improvement to children in need in the U.S. and around the world. Let’s take action to make the world more humane- Changing Lives One at a Time. It doesn`t cost much to give or receive compassion to/from family, friends or even strangers. It is liberating , it makes us human.